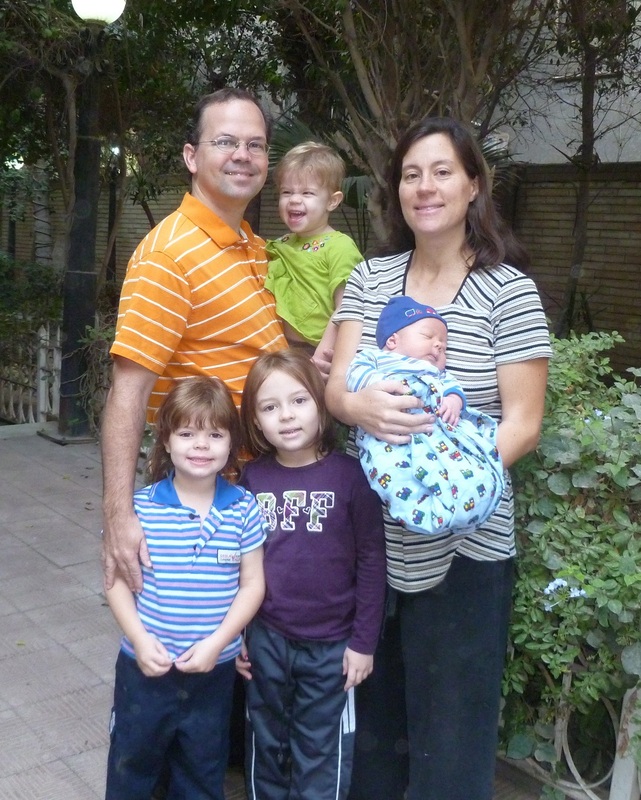 Jayson and Julie Casper are an American couple living in Cairo, Egypt. Jayson writes for Arab West Report, Christianity Today, Lapido Media, and a few other publications. His writing seeks to be in service of greater understanding between cultures and religions, as the knowledge of deeper contextual issues can prevent escalation of tension and unnecessary rejection of the other. Jayson has a BS in Economics and an MA in Islamic Studies. Julie is the primary caretaker of Emma, age 7, Hannah, age 5, Layla, age 3, and Alexander, age 1. They are four children full of life and love. She has a BA in Music and an MA in Music Education. It is the Caspers’ hope to learn and enjoy all Egypt has to offer, knowing well its language, people, culture, and religions. They desire their lives, friendships, and work will help overcome the stereotypes many Egyptians have of Americans and Christians, and through their writing and speaking in the United States to overcome the stereotypes many Americans have of Arabs, Muslims, and Orthodox. They pray their lives abroad may be pleasing to God, who desires all to experience his grace, live in peace, and love the other. To further understand the title of their blog, please see the first entry, also entitled ‘A Sense of Belonging‘. Jayson . . . the blog looks good! Thanks for making the effort to let us get peeks of your lives in Cairo through this medium. Thank you for sharing with us your thoughts about EGYPT, ARABS and MUSLIMS as a whole. I am following your blog here curriously trying to elicit your opinions about the issues we used to discuss back on 1990 -2000-in MAURITANIA. Although my language then was not entitle me to get all details , i think i formed a kind of view that hopefully would enable me now,after i brush upon my English, to compare ,or at list ,understand what you have to write here on this neat blog. Hello Jayson, it’s really a wonderful effort that was made from you in that blog and i like your opinion as an Egyptian that lives in Cairo, and I’m interested to meet you and have further discussions with you and be friends if possible. Good luck with this important work you are doing in Egypt. Best of luck to your family. Actually, we have lived in Jordan and Tunisia previously, and I have experience in Mauritania. Thank you for contacting me. My husband and I have been in Ma’adi for 1 year and 4 months. My husband is on a team doing F16 MOD for Lockheed Martin Fort Worth. This is first over seas assignment and are really enjoying the expereince. There are several really good blogs that I follow. My blog is for my friends and family back home to see what we are doing and where we are going. I am not a writer and although I am very opinionated I just do not know this culture well enough to discuss it. Our experience has been for the most part very positive, there have been things that have happened that remind me where I am at, that discourage me. I think it is the same no matter where you live, there is good and bad in every society. I am very interested in your blog and will look forward to reading it! Hello Caspers, lovely to find a regular wasp family trying to provide a positive perspective on things Egyptian, not a small task today. Your article on Maspero seemed very balanced and directed towards exploring the key issues fairly and sensitively. I’m really interested as an Australian with Egyptian heritage with little cultural connection to Coptics or Egyptians in general. My most concrete connections are in the kitchen in Sydney where my mother used Arabic to talk to us and cooked Egyptian food. I now have a family and I am interested in discovering and rediscovering my ancestral culture/s and also trying to understand the current situation in Egypt and how the different stakeholders see it. I plan once I finish my post-grad studies to take my young family to Egypt and expand my Arabic beyond the boundaries of the kitchen it was nurtured in. Meanwhile I plan to work my way retrospectively through your blogs. Cheers! Thanks, Rafik. Stay in touch and be sure to visit when the time is right to come. Wishing you all, the best. I’ve read your blog a few times since returning from a trip to Egypt in November. I’ve found it illuminating and helpful in getting more background as to what’s going on. My husband and I were so impressed with Egypt, we’re returning in February. My husband is a pastor in the German equivalent of the Assemblis of God denomination, and we would be interested in meeting you in Cairo if possible to learn more about the situation of Christians. All the best to you and your family. I just discovered your fantastic web-site and am enjoying reading it. God bless you and your family. I have been following your blog–while I work on a master’s thesis project about the aftermath of the Egyptian and Tunisian revolutions, (most of which I am also blogging). My primary research question has to do with the post-elections’ representation of women, the youth who mobilized the uprisings, and Coptic Christians. Might you be able to point me to the full-articles in English for the above? And/or might you be willing to offer me a couple of paragraphs on your own views as to what the main concerns are for Coptic Christians in regard to freedom of religion and the political representation of Christians’ interests? I have been desiring for so long for someone to make clear the situations that have been going on in Egypt. You all are a blessing! I have various interests, but whether news excites me or not I fully accept the necessity of being aware of the state of this world. I look forward to gaining faith-based insights from you. Thank you Sandy, we’re glad to share what we learn, or at least what we think we learn. Thanks for this blog! I saw your article in CT and am so glad I found this blog. Lots of great insights to think through. I was in Cairo in January, interning at the Daily News Egypt and living in Masr Gadida. I wish I could have stayed longer. You say you were in Tunisia, too? When you learned Arabic, what kind did you learn? Right now I’m just learning MSA, but I hear it’s not good for Tunisia, and I’m sure it’s not too helpful in Egypt. Hi KC, Thanks for your encouragement. I wondered if you were here when your blogroll includes The Egypt Monocle. It’s a good publication, but very new and somewhat niche. Now, the explanation makes sense. I learned the spoken dialect first, and then added MSA on top of it. I much prefer this method as it gets you speaking naturally first. MSA doesn’t help much for talking to people; though many can do it, it’s stunted. But what else can you do in the US? Don’t worry, it’s worthy, and the foundation you’re getting will help you anywhere. Jumping from dialect to dialect is a challenge, but the language is one all over the world, it’s just the common words and pronunciations that change. Good luck. I love these lines. These intentions are beautiful! My desires are the same when it comes to cross-cultural interaction. Thank you for introducing us readers to your family. I wish you two the best with your journey. Thanks, Lila. It’s a privilege to share with you. Looking more about educating myself in the affairs in Egypt. So much to learn and so topical. Thanks for giving me an opportunity to gain insights from your points of view. The more I read, the more I learn. Keep sharing. All the best to your and your family. Thanks, glad to find its helpful. Its a wonderful country. I’m just awed in the much of insighful articles in your blog and utmost your talk in the class last Tuesday. I’ve ever been thirst for the following the news updates whats happening in our neighbourhood and this is it! Thank you so much for your huge effort. Thank you Diana, I was glad to have the opportunity to share my thoughts, and I hope the blog continues to be of service to you. Best wishes.